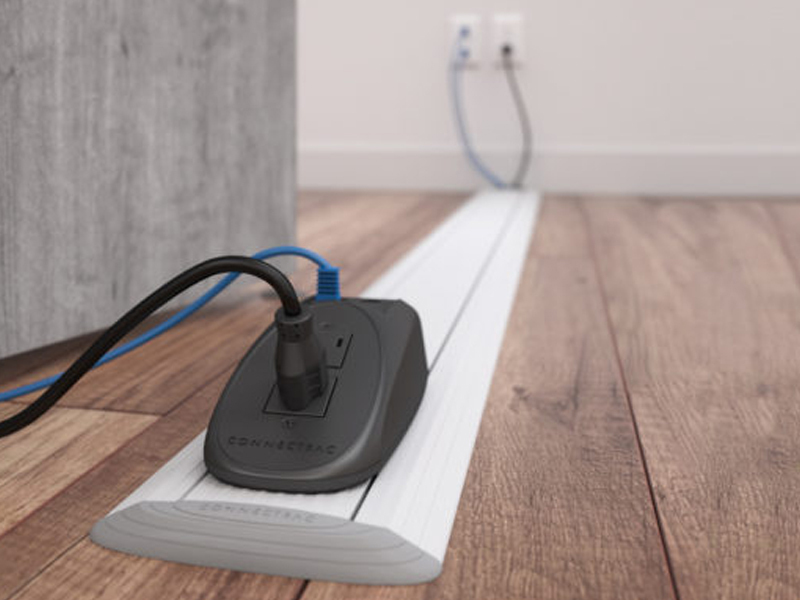 The Connectrac GO system gives you power, telephone, and computer connectivity anywhere, anytime, and within minutes. 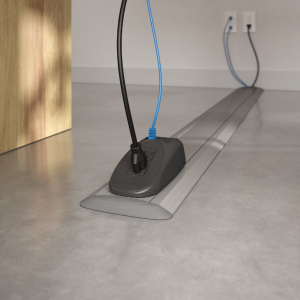 Simply place the durable, anodized aluminum wireway on top of any floor surface and plug the cord into a handy outlet. Locate the receptacle unit where you need it, install up to 4 CAT 6 cables and you're all set. GO gives you the flexibility to provide, move or change connectivity when needed. Feel the freedom of Connectrac GO. 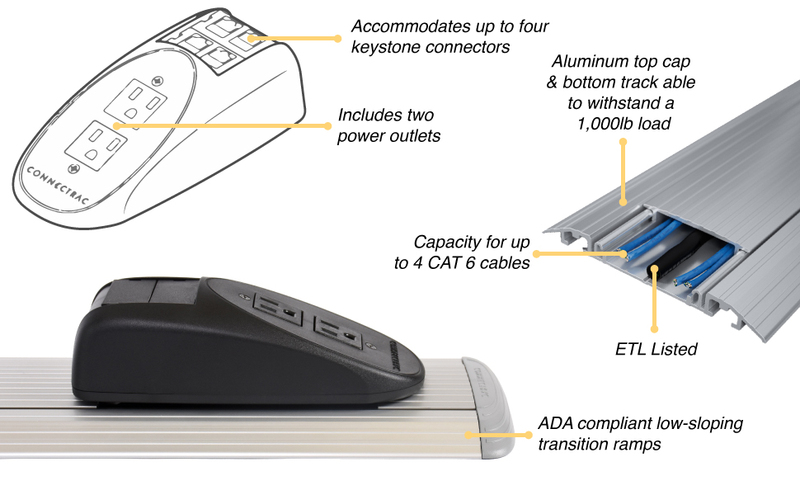 The Connectrac GO system gives you power, telephone, and computer connectivity anywhere, anytime, and within minutes. 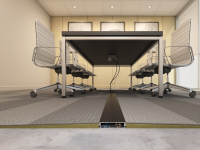 Simply place the durable, anodized aluminum wireway on top of any floor surface and plug the cord into a handy outlet. Locate the receptacle unit where you need it, install up to 4 CAT 6 cables and you’re all set. GO gives you the flexibility to provide, move or change connectivity when needed. Feel the freedom of Connectrac GO. 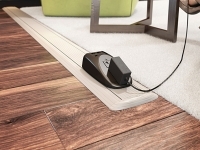 We designed Connectrac GO to be especially sleek and low profile to seamlessly integrate into any room's decor. 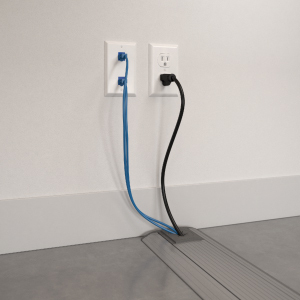 The built-in data receptacle provides two 3-prong power outlets for traditional laptop and phone chargers and space for up to 4 telecom ports or keystone connectors for all of your important cords - so all of your cords out of the way when you don't need them, but still easily accessible right underneath your desk for easy unplugging. Some assembly required. 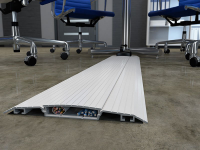 Each Connectrac is made from a specially-crafted anodized architectural aluminum to be sturdy, lightweight, and durable. Install in minutes to organize, combine, and condense up to 4 separate cat-6 phone jack cables in minutes. The additional two built-in three-prong outlets are perfect for everyday charging. 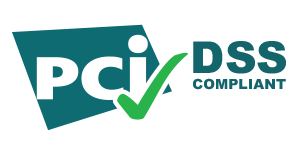 Choose which size best (6' or 12') accommodates your needs. And remember, either size can be field cut to your exact dimensions. WIREWAY CAPACITY Alongside the shielded flexible power conduit, the wireway can accomodate up to (4) low-voltage cables (data, telecom, AV). WIREWAY DIMENSIONS Inside Dimensions: 2" x .4".